Syllabus tentative, final changes will be made by a week before the class. Readings should be done before the lecture. Visualization Analysis and Design, Tamara Munzner (A K Peters Visualization Series, CRC Press, 2014) is the course textbook. The UBC library has multiple ebook licenses: library catalog page, EZProxy direct link. To buy your own copy online, it's currently US$75 new from amazon.com and US$80 from CRC (I'll give out promo code for 20% off in lecture, so it's $64); CD$105 from amazon.ca and CD$107 from chapters.ca. When you buy the hardcover book, you'll get the ebook version for free; you can also buy an ebook-only for less. All additional readings are research papers available online, links posted below. For digital library access from off-campus, use EZproxy with your CWL login through the UBC library. Visualization. Tamara Munzner. Chapter 27, p 675-707, of Fundamentals of Graphics, Third Edition, by Peter Shirley et al. AK Peters, 2009. A Tour through the Visualization Zoo. Jeffrey Heer, Michael Bostock, Vadim Ogievetsky. Communications of the ACM, 53(6), pp. 59-67, Jun 2010. Semiology of Graphics, Jacques Bertin, Gauthier-Villars 1967, EHESS 1998. Graphical Perception: Theory, Experimentation and the Application to the Development of Graphical Models. William S. Cleveland, Robert McGill, J. Am. Stat. Assoc. 79:387, pp. 531-554, 1984. A Model for Studying Display Methods of Statistical Graphics (with Discussion). William S. Cleveland. Journal of Computational and Statistical Graphics 2(4):323-364 1993. Automating the Design of Graphical Presentations of Relational Information. Jock Mackinlay, ACM Transaction on Graphics, vol. 5, no. 2, April 1986, pp. 110-141. Information Visualization: Perception for Design, 3rd edition, Colin Ware, Morgan Kaufmann, 2013. How Maps Work: Representation, Visualization, and Design. Alan M. MacEachren. Guilford Press, 1995. Crowdsourcing Graphical Perception: Using Mechanical Turk to Assess Visualization Design. Jeffrey Heer and Michael Bostock. Proc. CHI 2010. Taxonomy-Based Glyph Design---With a Case Study on Visualizing Workflows of Biological Experiments. Eamonn Maguire, Philippe Rocca-Serra, Susanna-Assunta Sansone, Jim Davies, and Min Chen. IEEE TVCG (Proc. InfoVis 12) 18(12):2603-2612 2012. Glyph-Based Visualization: Foundations, Design Guidelines, Techniques and Applications. Rita Borgo, Johannes Kehrer, David H.S. Chung, Eamonn Maguire, Robert S. Laramee, Helwig Hauser, Matthew Ward, and Min Chen. Eurographics State of the Art Reports (STAR):39-63 2013. On the Theory of Scales of Measurement. S. S. Stevens. Science 103(2684):677-680, 1946. Psychophysics: Introduction to Its Perceptual, Neural, and Social Prospects, S. S. Stevens, Wiley 1975. Visual Thinking for Design, Colin Ware, Morgan Kaufmann 2008. Feature Analysis in Early Vision: Evidence from Search	Asymmetries. Treisman and Gormican. Psychological Review 95(1):15-48, 1988. The Grammar of Graphics, Leland Wilkinson, Springer-Verlag 1999. Multiscale Visualization Using Data Cubes, Chris Stolte, Diane Tang and Pat Hanrahan, Proc. InfoVis 2002, pp 7-14. VAD Chapter 1. What's Vis, and Why Do It? Mathematics and the Internet: A Source of Enormous Confusion and Great Potential. Walter Willinger, David Alderson, and John C. Doyle. Notices of the AMS 56(5):586-599, 2009. Ch 1: What's Vis and Why Do It? The Nature of External Representations in Problem Solving. Jiajie Zhang. Cognitive Science 21:2 (1997), 179-217. A Representational Analysis of Numeration Systems. Jiajie Zhang and Donald A. Norman. Cognition 57 (1995), 271-295. Why a Diagram Is (Sometimes) Worth Ten Thousand Words.. Jill H. Larkin and Herbert A. Simon. Cognitive Science 11:1 (1987), 65-99. Graphs in Statistical Analysis.F.J. Anscombe. American Statistician 27 (1973), 17-21. Design Study Methodology: Reflections from the Trenches and the Stacks. Michael Sedlmair, Miriah Meyer, and Tamara Munzner. IEEE Trans. Visualization and Computer Graphics (Proc. InfoVis 2012), 18(12):2431-2440, 2012. Current approaches to change blindness Daniel J. Simons. Visual Cognition 7, 1/2/3 (2000), 1-15. The Visual Display of Quantitative Information. Edward R. Tufte. Graphics Press, 1983. Readings in Information Visualization: Using Vision To Think, Chapter 1. Stuart K. Card, Jock Mackinlay, and Ben Shneiderman. Morgan Kaufmann, 1999. Rethinking Visualization: A High-Level Taxonomy. InfoVis 2004, p 151-158, 2004. Data Visualization: Principles and Practice, 2nd ed. Alexandru Telea, CRC Press, 2014. Interactive Data Visualization: Foundations, Techniques, and Applications, 2nd ed. Matthew O. Ward, Georges Grinstein, Daniel Keim. CRC Press, 2015. The Visualization Handbook. Charles Hansen and Chris Johnson, eds. Academic Press, 2004. Visualization Toolkit: An Object-Oriented Approach to 3D Graphics, 4th ed. Will Schroeder, Ken Martin, and Bill Lorensen. Kitware 2006. The Structure of the Information Visualization Design Space. Stuart Card and Jock Mackinlay, Proc. InfoVis 97. Polaris: A System for Query, Analysis and Visualization of Multi-dimensional Relational Databases (extended paper) Chris Stolte, Diane Tang and Pat Hanrahan. IEEE TVCG 8(1):52-65 2002. Visualization of Time-Oriented Data. Wolfgang Aigner, Silvia Miksch, Heidrun Schumann, Chris Tominski. Springer 2011. A Multi-Level Typology of Abstract Visualization Tasks.. Matthew Brehmer and Tamara Munzner. IEEE Transactions on Visualization and Computer Graphics (Proc. InfoVis 13) 19:12 (2013), 2376-2385. A characterization of the scientific data analysis process. Rebecca R. Springmeyer, Meera M. Blattner, and Nelson M. Max. Proc. Vis 1992, p 235-252. Low-Level Components of Analytic Activity in Information Visualization. Robert Amar, James Eagan, and John Stasko. Proc. InfoVis 05, pp. 111-117. Task taxonomy for graph visualization. Bongshin Lee, Catherine Plaisant, Cynthia Sims Parr, Jean-Daniel Fekete, and Nathalie Henry. Proc. BELIV 2006. Interactive Dynamics for Visual Analysis. Jeffrey Heer and Ben Shneiderman. Communications of the ACM, 55(4), pp. 45-54, 2012. What does the user want to see? : what do the data want to be? A. Johannes Pretorius and Jarke J. van Wijk. Information Visualization 8(3):153-166, 2009. Chapter 1, Readings in Information Visualization: Using Vision to Think. Stuart Card, Jock Mackinlay, and Ben Shneiderman, Morgan Kaufmann 1999. An Operator Interaction Framework for Visualization Systems. Ed H. Chi and John T. Riedl. Proc. InfoVis 1998, p 63-70. Nominal, Ordinal, Interval, and Ratio Typologies are Misleading. Paul F. Velleman and Leland Wilkinson. The American Statistician 47(1):65-72, 1993. Rethinking Visualization: A High-Level Taxonomy. Melanie Tory and Torsten Möller, Proc. InfoVis 2004, pp. 151-158. SpaceTree: Supporting Exploration in Large Node Link Tree, Design Evolution and Empirical Evaluation. Catherine Plaisant, Jesse Grosjean, and Ben B. Bederson. Proc. InfoVis 2002. TreeJuxtaposer: Scalable Tree Comparison using Focus+Context with Guaranteed Visibility Tamara Munzner, Francois Guimbretiere, Serdar Tasiran, Li Zhang, and Yunhong Zhou. SIGGRAPH 2003. Feature detection in linked derived spaces. Chris Henze. Proc. Visualization (Vis) 1998, p 87-94. Using Strahler numbers for real time visual exploration of huge graphs. David Auber. Intl Conf. Computer Vision and Graphics, 2002, p 56-69. The Use of 2-D and 3-D Displays for Shape Understanding versus Relative Position Tasks. Mark St. John, Michael B. Cowen, Harvey S. Smallman, and Heather M. Oonk. Human Factors 43:1 (2001), 79-98. An Evaluation of Cone Trees. Andy Cockburn and Bruce McKenzie. In People and Computers XIV: Usability or Else. British Computer Society Conference on Human Computer Interaction, pp. 425-436. Springer, 2000. 3D or Not 3D? Evaluating the Effect of the Third Dimension in a Document Management System. Andy Cockburn and Bruce McKenzie. Proc. CHI 2003, p 434-441. Evaluating Spatial Memory in Two and Three Dimensions. Andy Cockburn and Bruce McKenzie. International Journal of Human-Computer Studies. 61(30):359-373. Supporting and Exploiting Spatial Memory in User Interfaces. Joey Scarr, Andy Cockburn, and Carl Gutwin. Foundations and Trends in Human-Computer Interaction. 2013. 6:1 1-84. Principles of Traditional Animation Applied to Computer Animation John Lasseter, Proceedings of SIGGRAPH 87, Computer Graphics, 21(4), pp. 35-44, July 1987. Animation: Can It Facilitate? Barbara Tversky, Julie Morrison, Mireille Betrancourt. International Journal of Human Computer Studies 57:4, pp 247-262, 2002. Structuring information interfaces for procedural learning. Jeffrey M. Zacks and Barbara Tversky. Journal of Experimental Psychology: Applied, Vol 9(2), Jun 2003, 88-100. Effectiveness of Animation in Trend Visualization. George Robertson and Roland Fernandez and Danyel Fisher and Bongshin Lee and John Stasko. IEEE Trans. 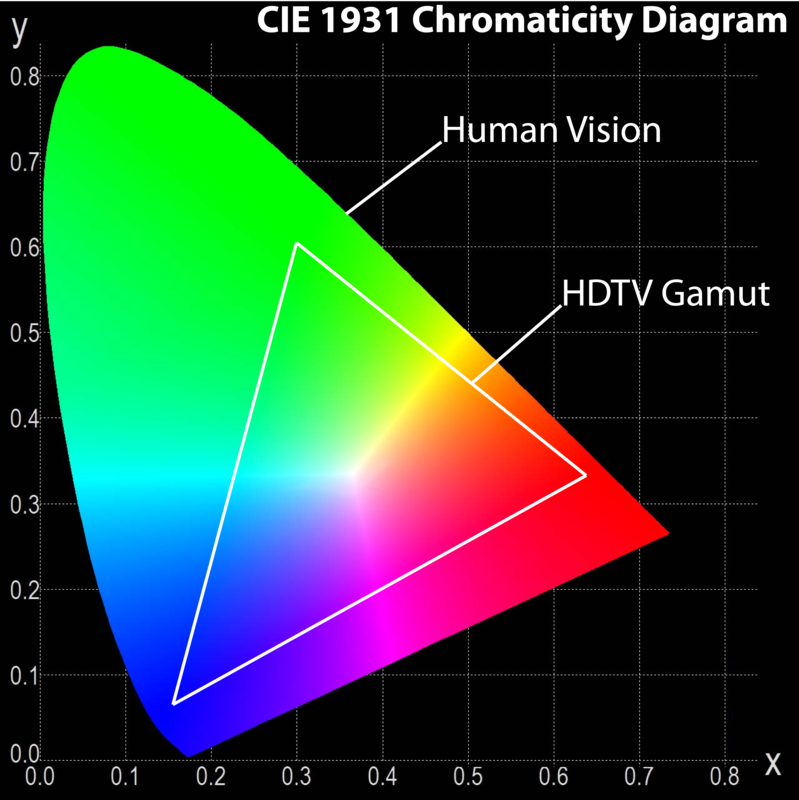 on Visualization and Computer Graphics 14(6):1325-1332, 2008 (Proc. InfoVis08). Current Approaches to Change Blindness. Daniel J. Simons. Visual Cognition 7:1/2/3 (2000), 1-15. The eyes have it: A task by data type taxonomy for information visualizations. Ben Shneiderman. Proc. Conf. Visual Languages 1996, p 336-343. The Notion of Overview in Information Visualization. Kaspar Hornbaek and Morten Hertzum. International Journal of Human-Computer Studies 69:7-8 (2011), 509-525. The Information Visualizer, an Information Workspace. Stuart Card, George Robertson, and Jock Mackinlay. Proc. CHI 1991, p 181-186. Designing with the Mind in Mind: Simple Guide to Understanding User Interface Design Rules. Jeff Johnson. Morgan Kaufmann, 2010. A Framework of Interaction Costs in Information Visualization. IEEE Transactions on Visualization and Computer Graphics (Proc. InfoVis 08) 14:6 (2008), 1149-1156. Toward a Deeper Understanding of the Role of Interaction in Information Visualization. Ji Soo Yi, Youn Ah Kang, John T. Stasko, and Julie A. Jacko. TVCG (Proc. InfoVis 07) 13:6 (2007), 1224-1231. Get It Right in Black and White. Maureen Stone. Functional Color, 2010. The Non-Designer's Design Book. Robin Williams. Peachpit Press, 2008. The Earth is spherical (p < 0.05): alternative methods of statistical inference. Kim J. Vicente and Gerard L. Torenvliet. Theoretical Issues in Ergonomics Science, 1(3):248-271, 2000. The Prospects for Psychological Science in Human-Computer Interaction. Allen Newell and Stuart K. Card. Journal Human-Computer Interaction 1(3):209-242, 1985. How to do good research, get it published in SIGKDD and get it cited!, Eamonn Keogh, SIGKDD Tutorial 2009. False-Positive Psychology: Undisclosed Flexibility in Data Collection and Analysis Allows Presenting Anything as Significant. Joseph P. Simmons, Leif D. Nelson and Uri Simonsohn. Psychological Science 22(11):1359-1366, 2011. Externalisation - how writing changes thinking.. Alan Dix. Interfaces, Autumn 2008. Paper: Visualizing Sets and Set-typed Data: State-of-the-Art and Future Challenges, Bilal Alsallakh, Luana Micallef, Wolfgang Aigner, Helwig Hauser, Silvia Miksch, and Peter Rodgers. EuroVis State of The Art Report 2014. Paper: Stenomaps: Shorthand for shapes Arthur van Goethem, Andreas Reimer, Bettina Speckmann, Jo Wood. TVCG 20(12):2053-2062 (Proc. InfoVis 2014) 2014. Paper: Topological Fisheye Views for Visualizing Large Graphs, Emden Gansner, Yehuda Koren and Stephen North. IEEE TVCG 11(4):457-468, 2005. Representing Colors as Three Numbers, Maureen Stone, IEEE Computer Graphics and Applications, 25(4), July 2005, pp. 78-85. A Field Guide To Digital Color, Maureen Stone, AK Peters 2003. Color use guidelines for data representation C. Brewer, 1999. Rainbow Color Map (Still) Considered Harmful. David Borland and Russell M. Taylor, III. IEEE Computer Graphics and Applications 27:2 (2007), 14-17. A Rule-Based Tool for Assisting Colormap Selection.. Lawrence D. Bergman, Bernice E. Rogowitz, and Lloyd A. Treinish. Proc. IEEE Visualization (Vis) 1995, 118-125. 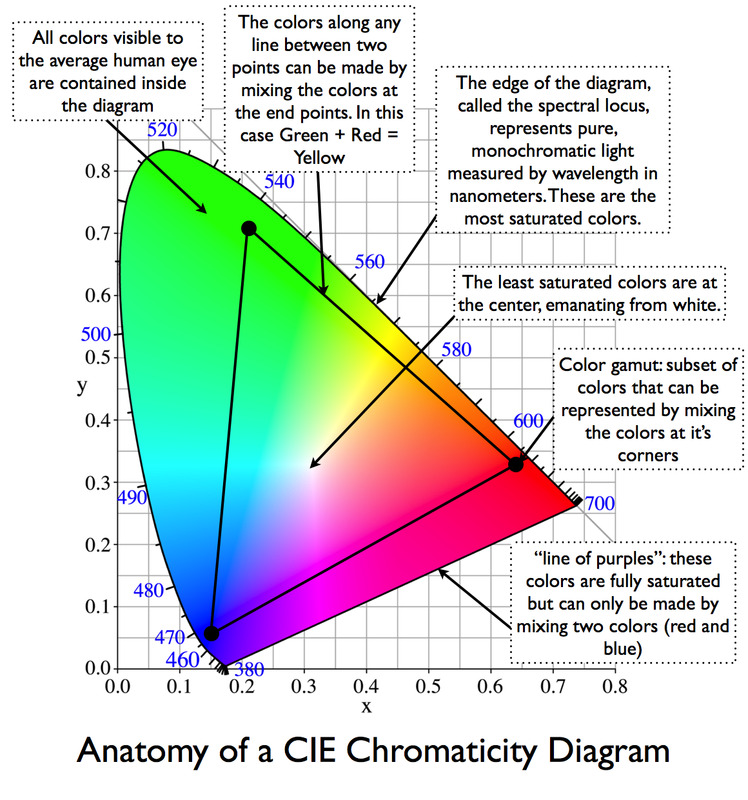 An Empirical Inquiry Concerning Human Understanding of Two-Variable Color Maps.. Howard Wainer and Carl M. Francolini. The American Statistician 34:2 (1980), 81-93. Motion to Support Rapid Interactive Queries on Node–Link Diagrams.. Colin Ware and Robert Bobrow. Transactions on Applied Perception (TAP) 1:1 (2004), 3-18. Interactive Visualization of Genealogical Graphs. Michael J. McGuffin, Ravin Balakrishnan. Proc. InfoVis 2005, pp 17-24. Starting Simple - Adding Value to Static Visualisation Through Simple Interaction.. A. Dix and G. Ellis. Proc. Advanced Visual Interfaces (AVI) 1998, 124-134. Selection: 524,288 Ways To Say 'This Is Interesting'. Graham J. Wills. Proc. InfoVis 1996, p 54-61. Pad++: A Zooming Graphical Interface for Exploring Alternate Interface Physics Ben Bederson, and James D Hollan, Proc UIST 94. LiveRAC - Interactive Visual Exploration of System Management Time-Series Data. Peter McLachlan, Tamara Munzner, Eleftherios Koutsofios, Stephen North. Proc. Conf. on Human Factors in Computing Systems (CHI) 2008, 1483-1492. Rapid Controlled Movement Through a Virtual 3D Workspace Jock Mackinlay, Stuart Card, and George Robertson. Proc SIGGRAPH '90, pp 171-176. Smooth and Efficient Zooming and Panning. Jack J. van Wijk and Wim A.A. Nuij, Proc. InfoVis 2003, p. 15-22. Topology-Aware Navigation in Large Networks. Tomer Moscovich, Fanny Chevalier, Nathalie Henry, Emmanuel Pietriga, Jean-Daniel Fekete. Proc CHI 2009, p 2319-2328. Tuning and testing scrolling interfaces that automatically zoom. Andy Cockburn, Joshua Savage, Andrew Wallace. Proc CHI 05. Unfolding the Earth: Myriahedral Projections. Jarke J. van Wijk. The Cartographic Journal, Vol. 45, No. 1, pp.32-42, February 2008. Paper: Interactive Coordinated Multiple-View Visualization of Biomechanical Motion Data. Daniel F. Keefe, Marcus Ewert, William Ribarsky, Remco Chang. IEEE Trans. Visualization and Computer Graphics (Proc. Vis 2009), 15(6):1383-1390, 2009. GPLOM: The Generalized Plot Matrix for Visualizing Multidimensional Multivariate Data. Im, McGuffin, and Leung. TVCG (Proc InfoVis 2013). Exploring the Design Space of Composite Visualizations Javed and Elmqvist, PacificVis 2012, p 1-8. Paper: Glimmer: Multilevel MDS on the GPU. Stephen Ingram, Tamara Munzner and Marc Olano. IEEE TVCG, 15(2):249-261, Mar/Apr 2009. TreeJuxtaposer: Scalable Tree Comparison using Focus+Context with Guaranteed Visibility. Tamara Munzner, Francois Guimbretiere, Serdar Tasiran, Li Zhang, and Yunhong Zhou. SIGGRAPH 2003. Paper: An Algebraic Process for Visualization Design. Carlos Scheidegger and Gordon Kindlmann. IEEE TVCG (Proc. InfoVis 2014), 20(12):2181-2190. Graph-Theoretic Scagnostics. Leland Wilkinson, Anushka Anand, and Robert Grossman. Proc InfoVis 05. Scagnostics Distributions. Leland Wilkinson and Graham Wills. Journal of Computational and Graphical Statistics (JCGS) 17:2 (2008), 473-491. Interactively Exploring Hierarchical Clustering Results. Jinwook Seo and Ben Shneiderman. IEEE Computer 35:7 (2002), 80-86. A Rank-by-Feature Framework for Interactive Exploration of Multidimensional Data. Jinwook Seo and Ben Shneiderman. Information Visualization 4:2 (2005), 96-113. Visual Exploration of Multivariate Graphs. Martin Wattenberg, Proc. CHI 2006. InterRing: An Interactive Tool for Visually Navigating and Manipulating Hierarchical Structures. Jing Yang, Matthew O. Ward, and Elke A. Rundensteiner. Proc InfoVis 2002, 77-84. Constellation: A Visualization Tool For Linguistic Queries from MindNet. Tamara Munzner, Francois Guimbretiere, and George Robertson. Proc. InfoVis 1999, p 132-135. Mike bioinformatics: PhenoBlocks: Phenotype Comparison Visualizations. Michael Glueck, Peter Hamilton, Fanny Chevalier, Simon Breslav, Azam Khan, Daniel Wigdor, Michael Brudno. TVCG 22(1) 2016. Louie bioinformatics: Vials: Visualizing Alternative Splicing of Genes. Hendrik Strobelt, Bilal Alsallakh, Joseph Botros, Brant Peterson, Mark Borowsky, Hanspeter Pfister, Alexander Lex. TVCG 22(1) 2016. Dmitry databases: Perfopticon: Visual Query Analysis for Distributed Databases. Dominik Moritz, Daniel Halperin, Bill Howe, Jeffrey Heer. Computer Graphics Forum (Proc. EuroVis), 34(3), 2015. Jason hidim: Optimal Sets of Projections of High-Dimensional Data. Dirk Joachim Lehmann, Holger Theisel. TVCG 22(1) 2016. Ben medical: NeuroBlocks: Visual Tracking of Segmentation and Proof-Reading for Large Connectomics Projects. Ali Al-Awami, Johanna Beyer, Daniel Haehn, Narayanan Kasthuri, Jeff W. Lichtman, Hanspeter Pfister, Markus Hadwiger. TVCG 22(1) 2016. Dennis medical: Cluster Analysis of Vortical Flow in Simulations of Cerebral Aneurysm Hemodynamics. Steffen Oeltze-Jafra, Juan R. Cebral, Gabor Janiga, Bernhard Preim. TVCG 22(1) 2016. Vaden networks: Reducing Snapshots to Points: A Visual Analytics Approach to Dynamic Network Exploration. Stef van den Elzen, Danny Holten, Jorik Blaas, Jarke van Wijk. TVCG 22(1) 2016. Emily networks: HOLA: Human-like Orthogonal Network Layout. Steve Kieffer, Tim Dwyer, Kim Marriott, Michael Wybrow. TVCG 22(1) 2016. Dylan social networks: EgoNetCloud: Event-based Egocentric Dynamic Network Visualization. Qingsong Liu, Yifan Hu, Lei Shi, Xinzhu Mu, Yutao Zhang, Jie Tang. Proc. VAST 2015. Ken social networks: egoSlider: Visual Analysis of Egocentric Network Evolution. Yanhong Wu, Naveen Pitipornvivat, Jian Zhao, Sixiao Yang, Guowei Huang, Huamin Qu. TVCG 22(1) 2016. Henry social networks: TargetVue: Visual Analysis of Anomaly User Behaviors in Online Communication Systems Nan Cao, Conglei Shi, W. Sabrina Lin, Jie Lu, Yu-Ru Lin, Ching-Yung Lin. TVCG 22(1) 2016. Arthur software vis: Visualizing Work Processes in Software Engineering with Developer Rivers. Michael Burch, Tanja Munz, Fabian Beck, and Daniel Weiskopf. Proc. VisSoft 2015. Jimmy timeseries: Time Curves: Folding Time to Visualize Patterns of Temporal Evolution in Data. Benjamin Bach, Conglei Shi, Nicolas Heulot, Tara Madhayastha, Tom Grabowski, Pierre Dragicevic. TVCG 21(1) 2015. Ye timeseries: TimeNotes: A Study on Effective Chart Visualization and Interaction Techniques for Time-Series Data. James Walker, Rita Borgo, Mark Jones. TVCG 22(1) 2016. Yasha timeseries: ThemeDelta: Dynamic Segmentations over Temporal Topic Models. Samah Gad, Waqas Javed, Sohaib Ghani, Niklas Elmqvist, Tom Ewing, Keith N. Hampton, Naren Ramakrishnan. TVCG 21(5) 2015. Rex masses: How do People Make Sense of Unfamiliar Visualization? : A Grounded Model of Novice's Information Visualization Sensemaking. Authors: Sukwon Lee, Sung-Hee Kim, Ya-Hsin Hung, Heidi Lam, Youn-ah Kang, Ji Soo Yi. TVCG 22(1) 2016. Jordon text: Guidelines for Effective Usage of Text Highlighting Techniques. Hendrik Strobelt, Daniela Oelke, Bum Chul Kwon, Tobias Schreck, Hanspeter Pfister. TVCG 22(1) 2016. Maggie digital humanities: Poemage: Visualizing the Sonic Topology of a Poem. Nina McCurdy, Julie Lein, Katharine Coles, Miriah Meyer. TVCG 22(1) 2016. Yujie tables: Automatic Selection of Partitioning Variables for Small Multiple Displays. Anushka Anand, Justin Talbot. TVCG 22(1) 2016. Huaying tables: Visually Exploring Transportation Schedules. Cesar Palomo, Zhan Guo, Claudio Silva, Juliana Freire. Proc. VAST 2015. Kim interaction: Suggested Interactivity: Seeking Perceived Affordances for Information Visualization. Jeremy Boy, Louis Eveillard, Francoise Detienne, Jean-Daniel Fekete. TVCG 22(1) 2016. Carolina evaluation: Representing Uncertainty in Graph Edges: An Evaluation of Paired Visual Variables. Hua Guo, Jeff Huang, David H. Laidlaw. TVCG 21(1) 2015. Neil evaluation: Visual Encodings of Temporal Uncertainty: A Comparative User Study. Theresia Gschwandtner, Markus Bogl, Paolo Federico, Silvia Miksch. TVCG 22(1) 2016. Zipeng systems: Reactive Vega: A Streaming Dataflow Architecture for Declarative Interactive Visualization. Arvind Satyanarayan, Ryan Russell, Jane Hoffswell, Jeffrey Heer. TVCG 22(1) 2016. Julieta perception: Beyond Memorability: Visualization Recognition and Recall. Michelle A. Borkin, Zoya Bylinskii, Nam Wook Kim, Constance May Bainbridge, Chelsea S. Yeh, Daniel Borkin, Hanspeter Pfister, Aude Oliva. TVCG 22(1) 2016. Final Project Presentations Tue Dec 15 2-5:30pm.